Dr. Lo received the BBA, major in Information Systems, from The Hong Kong University of Science and Technology. He further received the Postgraduate Diploma in Education (Liberal Studies) from The University of Hong Kong, the Master of Science in Information Systems from The Hong Kong Polytechnic University and the Master of Arts in Quantitative Analysis for Business from City University of Hong Kong. Besides, he obtained the Doctor of Business Administration from the University of Newcastle, Australia. At PolyU SPEED, he teaches subjects in information technology, business management, statistics and data science. He was the awardee of the “CPCE Outstanding Teaching Performance/Achievement Award 2016/17”. 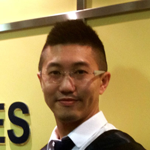 Prior to joining PolyU SPEED, Dr. Lo worked at various institutions, including The University of Hong Kong, The Chinese University of Hong Kong, City University of Hong Kong, The Open University of Hong Kong and the Vocational Training Council. Apart from teaching, he is also active in research and scholarly activities. His research interests are in the areas of knowledge management, absorptive capacity, quality management and learning technology. He also serves asSecretaries Committee Head of The International Engineering and Technology Institute and Editorial Board Member of the Information Management and Computer Science (a peer-reviewed open access journal) on voluntary basis. In the past, Dr. Lo was invited to be the external adviser and the external examiner of two local post-secondary institutes.